Long-term memory is crucial to understand one's personal history. Many women begin to lose the memories that make up their personal identities as they go through the menopause transition. This is referred to as long-term memory loss, and it can be a devastating problem to experience. To learn more about the causes, diagnosis, and treatments of long-term memory loss, keep reading. Just as its name suggests, long-term memory lasts for years, often up to a person's entire life. It is comprised of the information that passed through the short-term memory and was important enough to be encoded into long-term memory, meaning it will be remembered for a long period of time. Most long-term memories are significant to the person who holds them, often because they are about people or events that were important in this person's past. Forgetting significant life events such as wedding day or son's birthday. Forgetting names and faces of close friends and family. Getting lost in places that are very familiar. Lack of sleep. Sleep helps the brain develop long-term memories, and losing sleep can impact those memories. Drugs and medication. Long periods of use of certain drugs and medications can damage the memory center of the brain. Medical conditions. Most long-term memory loss caused by medical conditions is the result of rare amnesia cases or head trauma. Dementia. Brain function in general is reduced in patients with dementia, and long-term memory is often affected as well. However, many patients may have recall of certain people and past events, but not others. Long-term memory loss generally indicates a severe problem, and anybody experiencing this type of memory loss should consult a doctor immediately. There are a few tests that can be performed to determine the extent of memory loss and the potential causes. They have been designed in order to learn more about memory functioning. Often, these tests will include a type of interview, when the doctor will ask questions about the patient's past, as long-term memory is more difficult to measure with tasks and activities. They are also commonly used to diagnose and investigate memory loss. Conditions like dementia often appear on brain scans as places where the brain is visibly changed in some way. Since long-term memory loss can rarely be reversed, it is more likely that treatments will focus on attempting to arrest the progress of the memory loss. This means that treatments for most cases of long-term memory loss will not recover the memories that have already disappeared, but will be focused on stopping the condition causing the memory loss in order to preserve the memories that remain. Medications may help to prevent continuing loss of memory. Drugs are available to manage certain underlying causes of long-term brain damage, such as dementia. Medications are also available to help treat mental illnesses that may be causing the memory loss. When medication has caused the initial problem, switching to a new medication that treats the same condition will alleviate the problem. In the case of memory loss, all are prescribed medications according to your health issue. 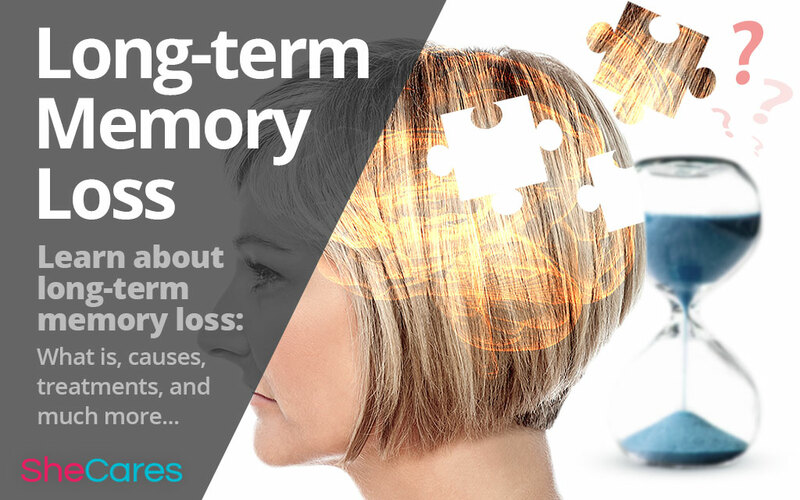 In some cases, the long-term memory loss cannot be treated effectively. For instance, in cases of retrograde amnesia - meaning amnesia in which somebody forgets past events - and cases of head trauma, memory loss is likely to be stagnant. In other words, no more memories will be lost, but the ones that have been lost may not return. In these cases, patients will have to rely on friends and family to help them relearn what they can.